Geniusness versus Neuroticism | JC Dance Co.
Have you ever wondered why some people are just so incredibly good at what they do? 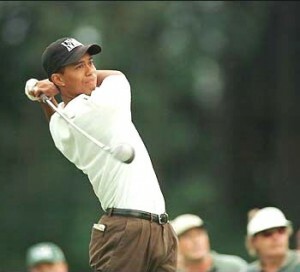 Whether it be Tiger Woods with golf, Yoyo Ma playing the cello or Bryan Watson in Latin… they are all experts who have achieved incredibly high standards in what they do. When you look at these champions, do you just stare in utter amazement? Do you simply chalk it up to talent, genetics or just plain luck? As many of my students know by now, I recently read an article from the New York Times called, Genius: The Modern View. It was a great article discussing whether a person who is thought to be a ‘genius’ may not be one at all. Traditionally, geniuses were thought to be ‘born from a divine spark’. However, the modern view is that they may simply be highly accomplished individuals who have put in an extraordinary amount of time and effort into perfecting their crafts. In my mind, not only do these ‘geniuses’ spend countless hours practicing, but they are also highly motivated and very detail-oriented people. When you look at the final product, that amazing Tango that Mirko Gozzoli & Alessia Betti created, what you don’t see is the blood, sweat and tears that they went through to get there. You don’t see all the time and energy that they put into doing the basic foundational work behind-the-scenes. What we often forget, is that while everyone else was relaxing during Siesta, Mirko & Alessia were probably locked up in the studio undergoing a very ‘deliberate, strenuous and boring practice routine’ involving 2 Walks and a Link. Having lived with Luca & Loraine Baricchi, World Professional & Blackpool Champions, I know what it takes to be at the top. It’s not only the amount of hours you put into your dancing, but the way you approach it. You need to have the ability to focus; to practice slowly; to break skills down into tiny parts and repeat them over and over again. Not only that, but you need to have extreme clarity, sensitivity and awareness to know whether you are doing it right or wrong. Especially for a physical skill, this is the only way for your mind and body to learn and ‘internalize a better pattern of performance’. Joel and I have had conversations about this in great length. Just recently, in fact, we had this discussion with one of our students, who is currently struggling with his dancing. We talked about how being a high achiever in any skill, and even life in general, means that you have to have great attention to detail. You not only have to be focused and deliberate with everything that you do, but you need to be sensitive and aware as to how you can make it better. Good enough is never good enough, as things can always be infinitely refined. In my opinion, the real high achievers in life are bordering on Neuroticism. They are always trying to refine their skills to the nth degree, as they are constantly seeking perfection. They are somewhat Obsessive-Compulsive about things, as they want to get everything just right. There is an amazing sense of clarity in their minds and innate awareness in their bodies as to exactly what they are looking for; and yet with all of that, the very successful high achievers in life are still able to keep a positive outlook on things. Where some people get bogged down and blocked to becoming highly accomplished are 1) people who lack the internal drive and need external sources of motivation… and that’s where your parents, teachers or coaches step in; 2) people who have the ‘neurotic’ personality to make it, but are not focussed or aware… and that’s where you need to (with the help of your coach) pick a focus, stick to it, and monitor it until it improves; and 3) people who have the drive and focus, but have a negative attitude… these people need to change their outlook on life and realize that everyone has the potential to improve, and that even though we are striving for perfection, we do not necessarily have to reach it today or even tomorrow; we simply have to be going towards it. As one of my coaches from England said to me once, ‘You need to be happy but never satisfied’. And that, I believe, is one of the most important ingredients to being a champion. It’s not just talent or some divine gift that only a ‘genius’ is born with. It’s a ‘neurotic’ sense of hard work, determination and an insatiable need to attain perfection. If you’d like to read the full article of ‘Genius: The Modern View‘ from the New York Times, click here.